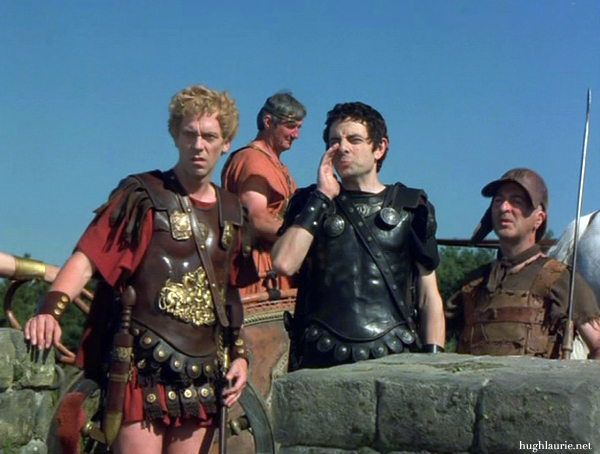 Hugh Laurie made his first Blackadder appearance in the series 2 episode ‘Beer’, and went on to feature in every episode after that. Here’s a look at his characters and funniest moments. 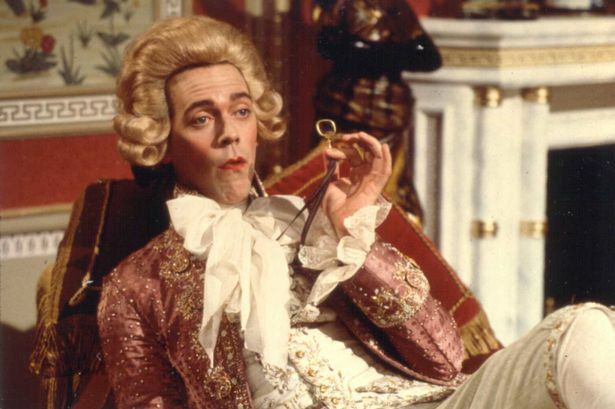 Even the most ardent super-fan sometimes forgets that Hugh Laurie actually had two appearances in Blackadder Series 2. The first one was in ‘Beer‘, where he played Simon Partridge, otherwise known as ‘Farters Parters’. The second character he played, was in the series finale ‘Chains‘. 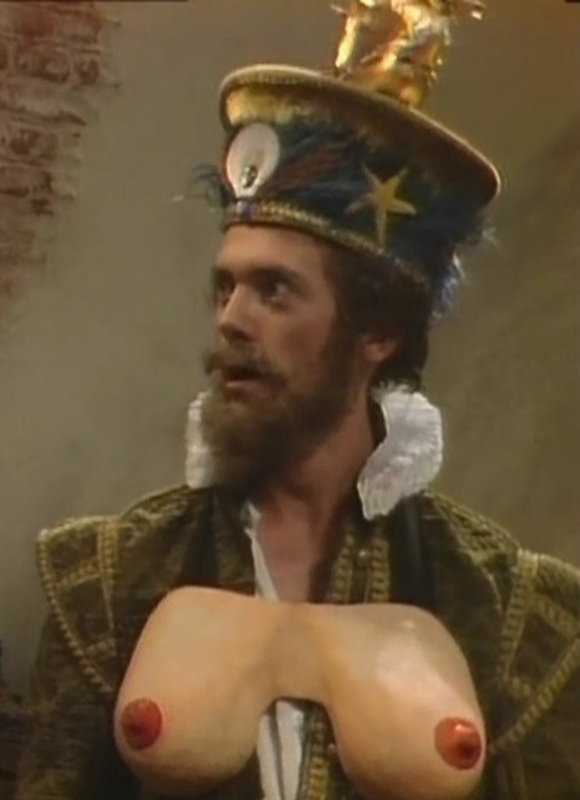 As Ludwig the Indestructible, he imprisoned Blackadder in a commode, and revealed himself to be a master of disguise. 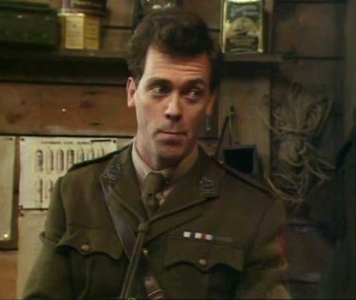 Hugh Laurie joined the cast of Blackadder as a full-time member from series 3 onward. As the dimwitted Prince Regent, he ranks only just slightly above Baldrick in terms of intelligence! Our favourite episode, is where he meets Doctor Johnson and talks about words in the dictionary! But this is a great line as well.. Tally ho, my fine, saucy young trollop. Your luck’s in. Trip along here with all your cash and some naughty night attire, and you’ll be staring at my bedroom ceiling from now till Christmas, you lucky tart. Yours with the deepest respect etc. Signed George. PS Woof, woof! The entire fourth series of Blackadder is a work of genius, and Lieutenant George plays an integral part in it. As the product of a public school and privileged university education, his naive approach to the War is both sad and amusing. This is our favourite scene featuring Hugh Laurie in Blackadder Goes Forth. 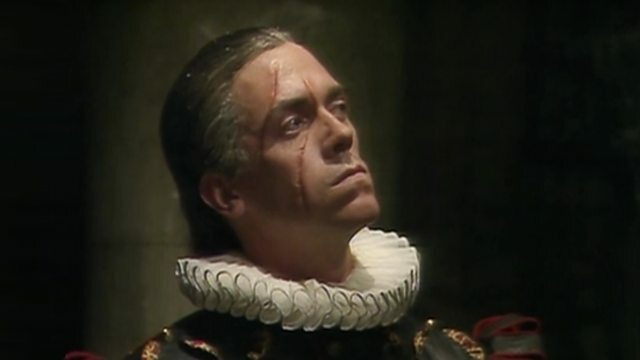 Hugh Laurie also featured in the Blackadder specials, that included Blackadder’s Christmas Carol as Lord Pigmot, and Blackadder: Back & Forth as Major George and Consul Georgius. 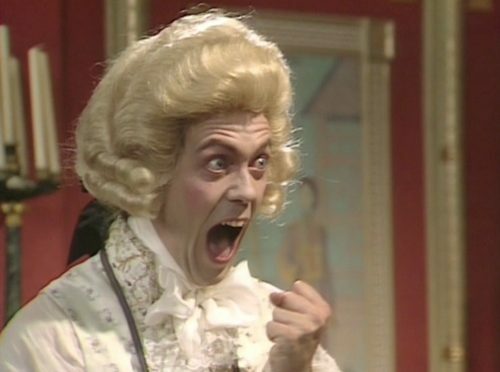 Do you have a favourite episode of Blackadder that features Hugh Laurie? We’d love to hear from you! Please leave a comment below. Previous PostBaldrick Quotes from Blackadder Goes ForthNext PostBrian Blessed in Blackadder | Chiswick Fresh Horses!